To be installed at Vyksa Steel Works, Russia, the new seamless pipe complex of OMK will produce 500,000 tpy of OCTG seamless pipes (casing and tubing), linepipe and industrial pipes from 2” 7/8 to 10” 3/4. 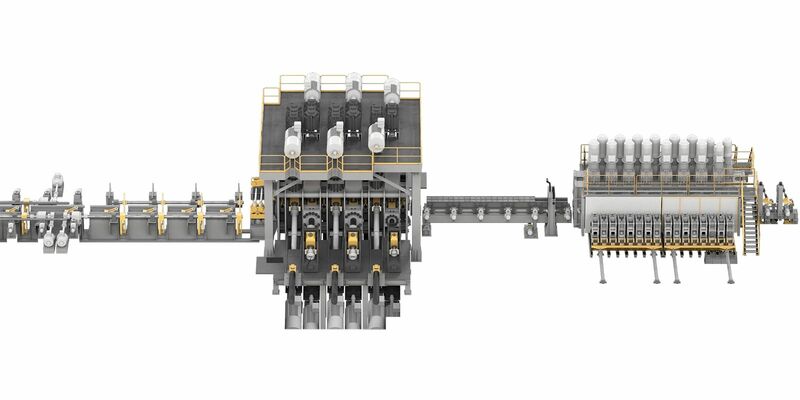 The plant mainly consists of a hot rolling line based on innovative FQT - Fine Quality Train technology and a finishing center featuring heat treatment, quality assurance and finishing lines. Danieli will provide plant and equipment engineering, equipment manufacturing, supervision for erection and commissioning, and customer training. All lines will be equipped with the most advanced Danieli Automation process control and tracking systems. The majority of pipes produced by the new OMK plant will be used for gas and oil extraction. “We are pursuing our long-term strategy of developing an integrated product offering. When the project is complete, our Company will be able to break into new market segments by offering customers quality product that meets the most advanced requirements”, noted OMK Chief Investment and Asset Development Officer Dmitri Chernyshev.